What is the Biblical Test for a Prophet? Did President Roosevelt start World War 2? Music – Freedom by Josh Garrels from the album Underquiet – available from Josh Garrels website. Rod concludes the interview with his wife, Cindy and their daughter, Anna, regarding their experiences in the message and why they left. This is the conclusion of the interview with former message follower Dr. Gabriel Pollen of Zambia. Dr. Pollen recently received a Ph.D. in Economics from the University of London. Music – Love Education by Jon Gibson from the album Love Education (1995) – available from Amazon. I want to share with you a significant change in our podcast . The Off The Shelf podcast is something I do in my spare time, primarily on weekends. It was born out of a love for those who are still in the message and for those who have left the message but still have a lot of questions. But what many of our listeners aren’t aware of is that most of my time is spent with Power to Change, the Canadian affiliate of Campus Crusade for Christ International. The mission of Power to Change is to help people know Jesus and experience his power to change the world. We have 11 ministries which include our Student ministry, Athletes in Action, FamilyLife, LeaderImpact, our humanitarian arm, the Global Aid Network (or GAIN), Christian Embassy, Connecting Streams, DRIME, the Women’s Heart Engaging Network, or WHEN, our women’s ministry, The Life Project and the Jesus Film Church Planting Strategy. I think you can imagine that this takes virtually all of my time and, as a result, the Off The Shelf podcast will be going from a once a week format to once a month. I would love to continue this on a weekly basis but I simply do not have the time. I appreciate all of the emails that have come in and all of the comments that have appeared on the website. Please pray that God would continue to help us reach those in the message as well as non-Christians around the world with the life-changing message of Jesus Christ. 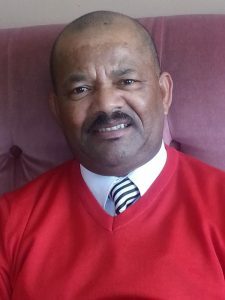 Rod continues his interview with former message pastor James Manuel of Cape Town, South Africa. James was in the message for almost 40 years. Rod & John continue to examine Wisper Gwena’s defence of William Branham. They examine what cognitive dissonance is and discuss Pastor Gwena’s claim that he is not the one suffering from cognitive dissonance, rather it is John and Rod that are the ones that are experiencing cognitive dissonance. But is this really the case? Music – Cognitive Dissonance by Brad Wray – listen to the entire song on YouTube. Rod & John continue to examine Wisper Gwena’s defence of William Branham. Pastor Gwena is from Waltham Abbey (North London), UK where he is the pastor of Spoken Word Ministry church. Joining Rod is John Collins, author of the Seek The Truth website and grandson of Willard Collins, the former pastor of Branham Tabernacle in Jeffersonville, Indiana. Rod and his daughter, Anna, share stories from our listeners about their experiences with celebrating (or not celebrating) Christmas in the message. Rod ends the podcast with a description of what Christmas is really all about. Rod & John continue to examine Wisper Gwena’s defence of William Branham. Specifically, they examine a number of significant problems with William Branham such as the lack of newspaper articles which William Branham said appeared across the US and Canada; his lies about travelling around the world seven times; his visit to Pigalle; the problems with Congressman Upshaw; William Branham’s first commission which he stopped talking about after he changed his story; and the failed healing of Donny Morton. Detailed links are below. In this episode, Rod responds to a defense of William Branham that was presented by Wisper Gwena, pastor of Spoken Word Ministry church, Waltham Abbey (North London), UK. Rod is joined by John Collins, author of the Seek The Truth website and grandson of Willard Collins, the former pastor of Branham Tabernacle in Jeffersonville, Indiana. John is also the author of two books, “Stone Mountain to Dallas: The Untold Story of Roy Elonza Davis” and “Jim Jones – The Malachi 4 Elijah Prophecy”. This is part 3 of our interview with John Collins, author of the Seek The Truth website.